Although Forgotton Anne takes place in a world that is populated with literal forgotten objects, the game is an undeniably memorable adventure that’s hard to shake. 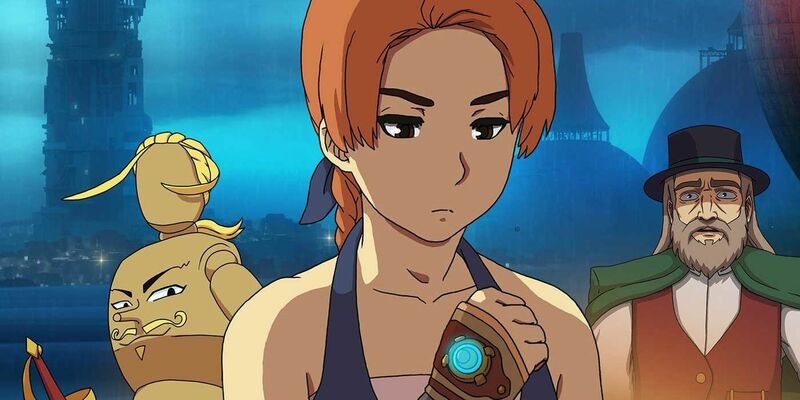 Forgotton Anne was developed by ThroughLine Games and published by Square Enix Collective, and originally released in May 2018 on PC, PlayStation 4, and Xbox One. The game has just released on the Nintendo Switch in the console-handheld hybrid’s seemingly never-ending parade of ports. As a port Forgotton Anne is solid if totally unremarkable. There are no special features or added content to the Nintendo Switch version besides, of course, the ability to play the game in handheld mode on the go. 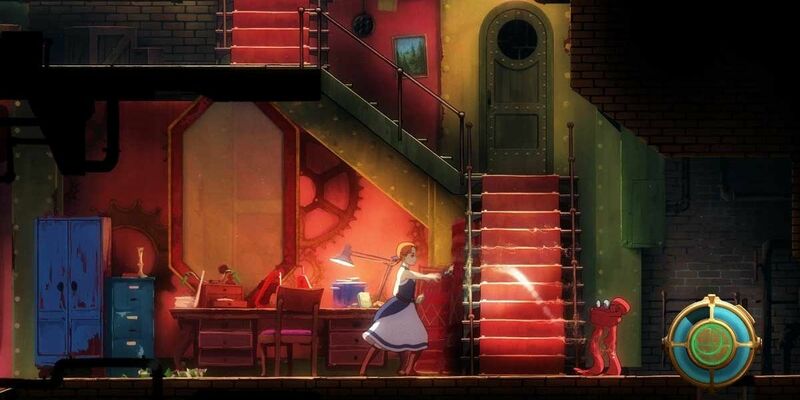 Ultimately though that doesn’t matter because regardless of the platform, Forgotton Anne is a magical adventure … even if its core gameplay doesn’t always stand up to the quality of the storytelling. To Forgotton Anne’s credit, its goal is to put story ahead of gameplay. While no game looks quite like Forgotton Anne, like Avatar: The Last Airbender it’s a beautifully animated mix of East and Western styles, but in gameplay it’s rather standard. Forgotton Anne uses many elements of the classic point-and-click adventure genre. Even with some light platforming elements and a magic meter, the majority of Forgotton Anne’s roughly six hour adventure is about moving slowly across the 2D screen and solving puzzles. This is by far the weakest element of Forgotton Anne and it does, unfortunately, hold the game back from true greatness. As engaging as the story is, the gameplay is a bit of a slog. This isn’t to say that adventure games can’t be engrossing or exciting but Forgotton Anne doesn’t quite stand shoulder-to-shoulder with the best of them. Forgotton Anne’s gameplay is very middle of the road. It’s easy to get lost and confused in Forgotton Anne’s enchanting but expansive world (there’s no real map to speak of) with objectives always being just a little too vague. Exploration is eternizing at times but it can quickly give away to repetitiveness. The puzzle elements of Anne have similar issues, sometimes starting out quite promising but failing to offer variety. 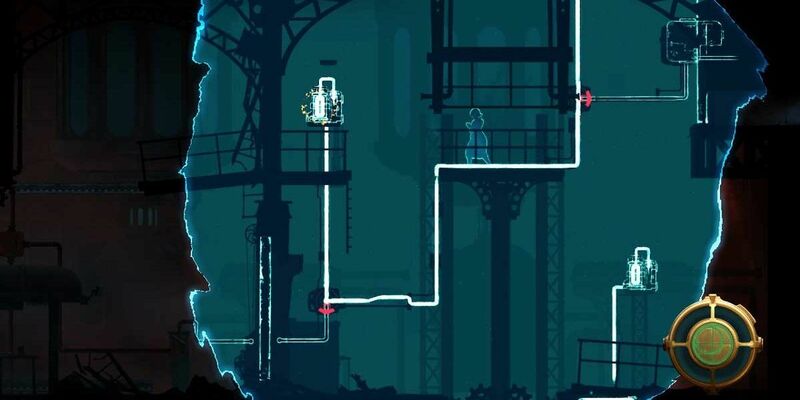 Most of Forgotton Anne’s puzzles direct the flow of the game’s magic, anima, through pipes with a visually distinct style but end up feeling more like glorified plumbing. The only time that changes is either to pull a lever or to solve a door lock puzzles by lining objects up correctly. All puzzles follow of the same basic mechanics of moving something from point A to point B but with various window dressing. It’s not all that challenging or enthralling either and Forgotton Anne doesn’t have the needed variety in its puzzles to remain fascinating. The main character Anne has control of a magic force called anima and even has some wings that allow Anne to see through walls and occasionally jump great distances but these are more delivery vehicles for the same few types of puzzles. Thankfully, from a story perspective, Anne and her powers really do shine. Anne is one of two human residents in a world that is populated with lost inanimate objects (AKA forgotlings) called the Forgotten Lands. That missing favorite sock of yours? It’s been given a life of its own as a talking forgotling in the strict social hierarchy of the Forgotten Lands. Forgotton Anne slowly rolls out the story of why Anne is a human in this land of talking pillows and lamps but being a human also gives her a position of power. Anne is an Enforcer, keeping order and using her anima to (possibly) destroy the souls of enemy forgotlings. Anne’s ultimate goal is to get back to the real world but she also has to put down a rebellion of forgotlings who don’t appreciate the social standings they’ve been forced into in the Forgotten Lands. For example, a single lost sock will be deemed less important than a pair and given an awful job and quality of life. Everyone is judged by how much they’ve been forgotten. It’s Toy Story if Toy Story was viciously depressing and some of the toys were fighting against their human overlords. Everything that Forgotton Anne lacks in the gameplay department it almost makes up for with interactive storytelling in this simple but deceptively emotional journey. On its own Forgotton Anne’s tale is weird, memorable and effecting. 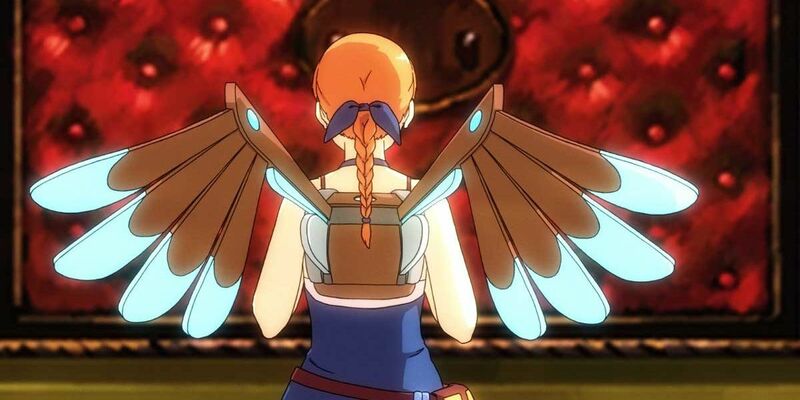 Forgotton Anne has dialogue options, moral choices and multiple endings that give a satisfying sense of ownership over its melancholic and haunting tale. As an Enforcer Anne has the ability to “distill” forgotlings who get in her path. Distillations take a forgotling’s life essence and absorb it into Anne. These distillations make Anne more powerful and have an effect on gameplay and story. Since most of the characters are forgotlings they will react differently to Anne who distill with impunity over one that shows mercy. The player makes the choice between Anne taking pity on the rebel forgotlings or being a ruthless officer of the law who steps on everyone in her path with the world responding accordingly. No matter the path chosen Forgotton Anne remains a sweeping epic full of terrific voice acting and incredible music. The game moves seamlessly from its beautiful hand-drawn cut scenes and gameplay with each story beat being a treat to a behold. There are good and bad endings but only in terms of morality, not quality. Even with some underwhelming gameplay Forgotton Anne is a gaming experience that’s worth playing over and over again. Forgotton Anne is available now on Nintendo Switch, PlayStation 4, Xbox One and PC for $19.99. Screen Rant was provided a Nintendo Switch copy for review.